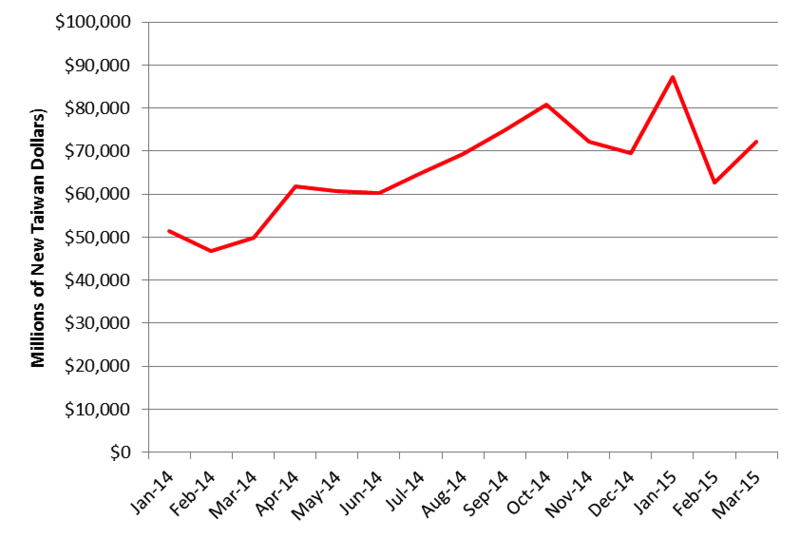 Semico’s IPI Index points to 9% revenue growth in 2015. 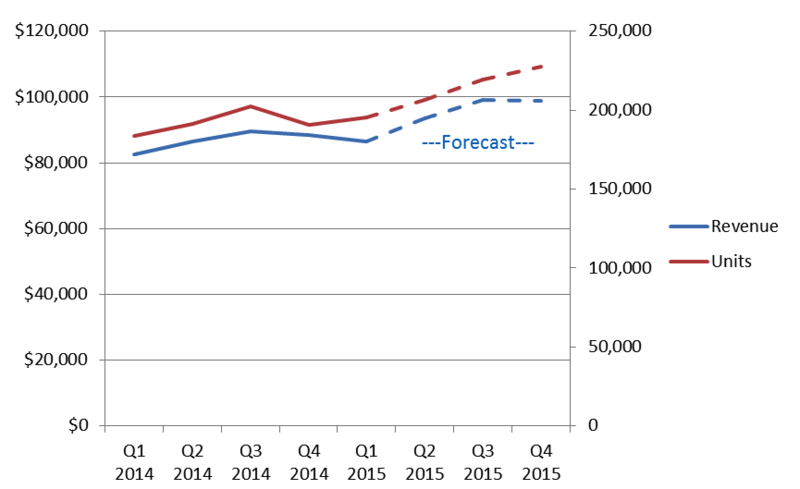 First of all, Semico’s forecast for total semiconductor sales in 2015 is $378 billion, up nearly 9% over 2014. Units will increase to 849 billion, representing a 10.5% growth over 2014. However, there is an upside to this forecast. DRAM pricing is expected to remain strong as demand remains healthy and more complex fabrication processes reduce wafer output per fab line, limiting the potential for an over-capacity situation. In addition, the largest memory supplier, Samsung, is slowing its DRAM ramp, i.e. pushing out CapEx for DRAM capacity. The memory market has played a major role in the growth of semiconductor revenues over the past two years. TSMC already has reported March 2015 sales, and although the results were well within their revenue guidance, their March 2015 sales were 17% below January sales. TSMC’s January sales were off the charts reaching more than NT$87 billion. In 2014, the IPI Index increased 10.9%, which aligns well with Semico’s 9% 2015 forecast. While the overall industry saw February revenues decline, the DRAM market bucked this trend by increasing 12%. It was the only product category with a double-digit increase. In fact, most categories declined or showed only marginal growth. However, during the past twelve months the IPI Index has slowly increased with only two months registering a slight decline. This signals an overall steady growth through the rest of 2015 with a slight chance of slowing in early summer and the expected seasonal decline at year-end. 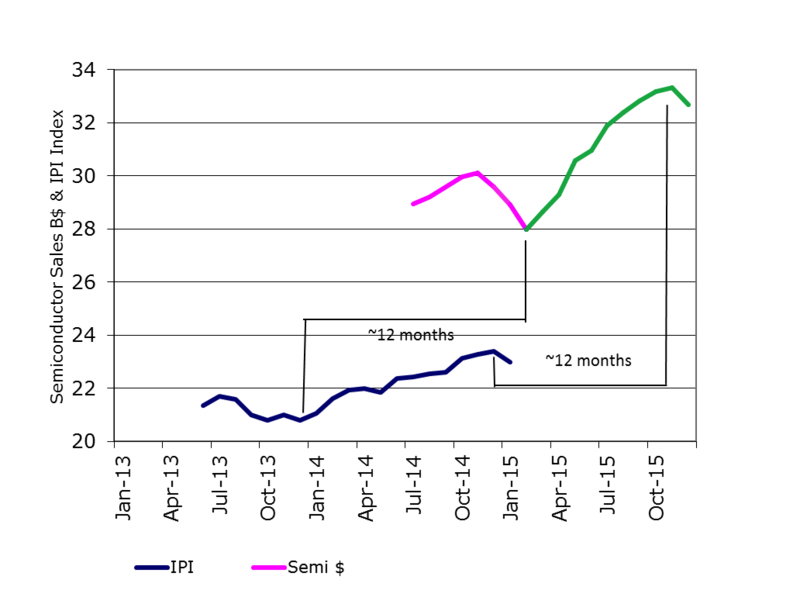 For more detailed information on the Semico’s IPI Index and 2015 semiconductor forecast, please contact Rick Vogelei at [email protected] or visit www.semico.com.